Special guest Mike Breen joins the Collective’s Lance Crowell to talk discipleship in the first of this two-part series. This week’s podcast discusses discipleship as imitation of Jesus using the Up, In, and Out domains as a framework. Discipleship is not simply a matter of information, it’s imitation of Jesus. To be a disciple is to be like Jesus. What was Jesus doing on a daily basis, and how can we emulate that? Up: He is in loving relationship with His father. In: He is always attending to His given community of believers. Out: He is consistently longing for and going to the lost. Up: Jesus gives us the pattern of The Lord’s Prayer for speaking with the Father. In: Jesus sets the rules for conflict resolution in Matthew 18. Out: Jesus commands us to look for Persons of Peace. 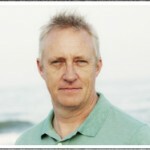 Mike Breen is an English church leader, minister, author, and entrepreneur. 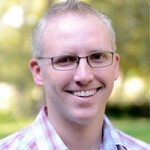 He is the founder of 3DM, and has been an innovator in leading missional churches throughout Europe and the United States.